Join Entertainment Weekly’s Ray Rahman and Amy Wilkinson every week for a fun, candid conversation about the week in TV and streaming. Follow along as they reveal episode previews and predictions, debate the latest in TV trends, and answer your burning questions on what to expect this season on your favorite shows. 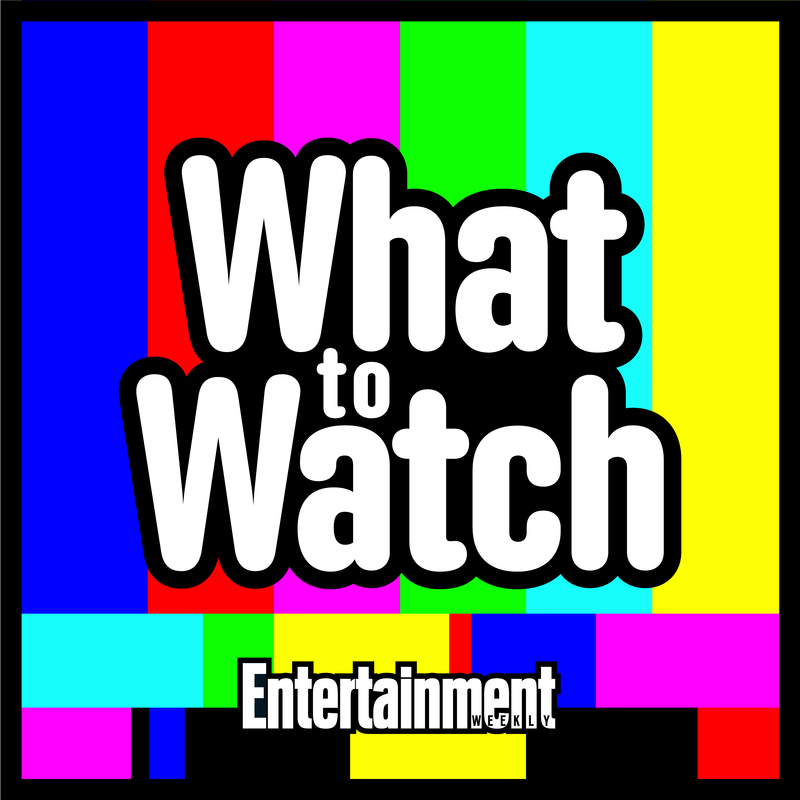 Follow along as EW's Ray Rahman and Amy Wilkinson celebrate the Fall TV season and bring you intel on returning fan favorite shows and promising newbies. For the first episode, Ray and Amy chat with EW’s TV Critic Jeff Jensen about the best (and worst) shows of the fall season, break down the week in TV news (Meryl Streep alert! Sarah Paulson fanfic?) and preview the upcoming week in television. Ray and Amy theorize about the new "American Horror Story" season, break down the week in TV (Leslie Jones for President! Spike Lee joins the #ATS wave), and talk to EW's Emmy expert Lynette Rice about who will win, who should win and who's headed for the bar this weekend. Ray breaks down the finale of "Mr. Robot" as Amy reveals what makes "This is Us" one of fall's must-see shows. Plus, thoughts on the premieres of "Pitch" and "Designated Survivor." Then, "The Good Place" creator Mike Schur talks about the creation of his new NBC sitcom and how it connects to "Lost." Ray and Amy break down Woody Allen’s new streaming series, Will & Grace's mini-reunion, "This Is Us" episode 2, and fall TV’s emerging trend: Twists! Plus: Politics on "SNL," the influence of "Lost," the end of "Girls," "High Maintenance," and more. Welcome to "Westworld"! Ray and Amy are joined by EW's James Hibberd to dissect HBO's epic new hit show. Plus: "American Horror Story" gets renewed, "Stranger Things" gets a cruise, and something called "Mail Order Family" gets canceled (already). Ray and Amy dig deep into Sarah Jessica Parker's return to HBO and Issa Rae's new comedy. Plus: "Fleabag" creator-star Phoebe Waller-Bridge talks about her excellent new Amazon series and the chances for a season 2. The new season of Netflix's "Black Mirror" is here, and Ray and Amy are joined by EW's Shirley Li to break down the best and worst episodes to watch this weekend. Then, Ike Barinholtz joins the conversation to talk all about "The Mindy Project." Plus: "American Crime Story" news, Jennifer Lopez's new show and Jodie Foster's next TV project. Who is The Man in Black, and what does he want? Ray and Amy are joined by EW’s Chris Rosen for a deep dive into their favorite "Westworld" fan theories. Then, EW’s Dalton Ross calls in to chat all things "Walking Dead" — including Glenn’s dramatic exit. Plus: Is "Waco" the next great miniseries? This week, we present an in-depth conversation with Ryan Murphy and the stars of his hit shows "American Horror Story" (Kathy Bates, Cuba Gooding Jr., Evan Peters) and "Scream Queens" (Jamie Lee Curtis, Lea Michele, Emma Roberts). Recorded live at EW PopFest in Los Angeles, the writer-creator spills on the Murder House-Coven crossover season of "AHS" and what to expect from the next installment of "American Crime Story."